They're called Photobombs. 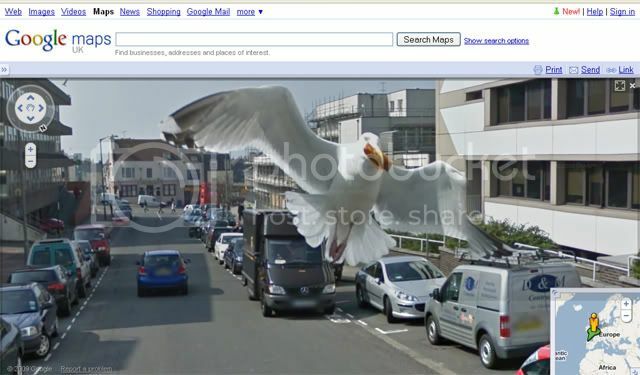 That which happens when Google's Street View cameras take photos of something that isn't a street, cars, or building. Photo above taken in the South Coast resort town of Brighton in the UK.